Jamie Allen will be participating of the CAA Annual Conference in New York on February 15. Jamie Allen, #rocks (2014). Multi-channel sound installation. 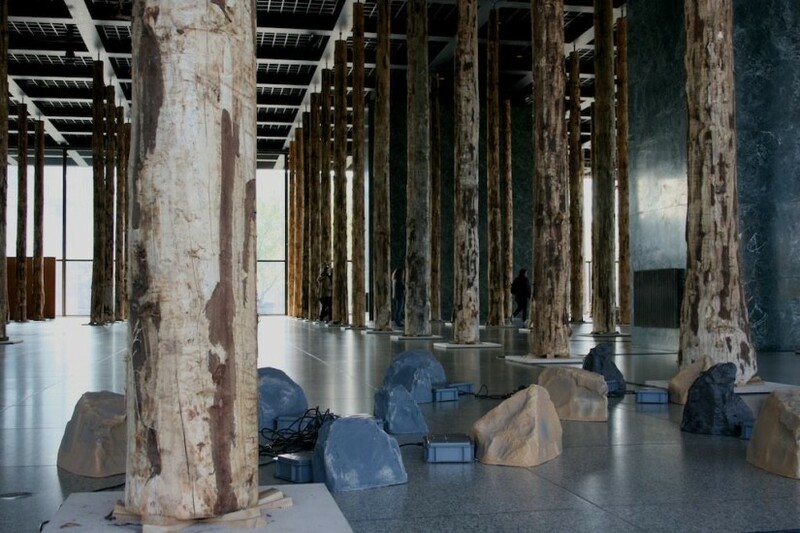 Installation view at Neue Nationalgalerie, Berlin. This panel will discuss and reflect upon the new technological tools for intervention in the flows of capital and the different aesthetic strategies that are used to raise awareness of the question of economic fairness. The recent disclosures of tax evasion and corruption in the Panama Papers and the collusion of politician and high finance exacerbate further tension between the public perceptions of fairness and the practices of the banking industry, a tension that has been rising ever since the financial meltdown of September 2008. In response to the opacity of the flows of money and the concentration of the control of the monetary system in the hands of a few banks and government, activists and hackers have developed a mixture of strategies of uncovering through leaks, hacks, and by building alterative structures of circulation like the block chain and the wiki. This Media Lounge program is free and open thanks to the support of the NEA and SAC. For more information on Jamie Allen please click here.